The Company of the Phoenix portrays a free company travelling Europe from 1435-1485. Originally simply mercenary bands, free companies grew to resemble mobile city-states, camping where they could and encompassing not just military services, but also merchants and the associated tradesmen and services required for a self-sufficient mobile village. Company of the Phoenix will be opening up to show their daily lives. 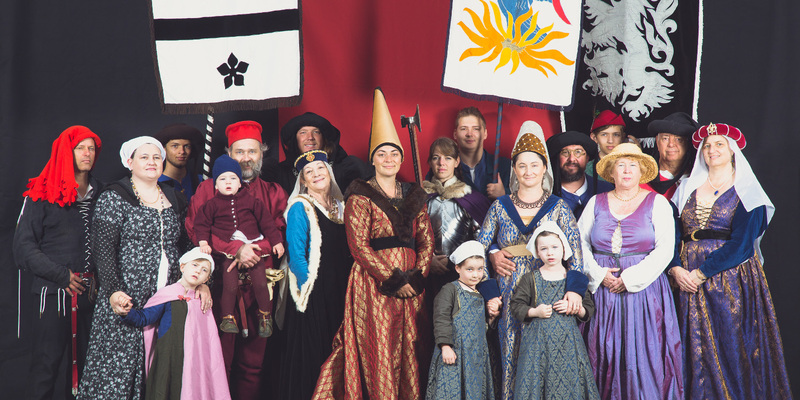 Come and meet the noble lords and ladies and their children and hear how they lived in a free company camp. Meet the squires and men at arms and learn about the armour and combat of the period and stop by the kitchens to find out what kind of food they ate.